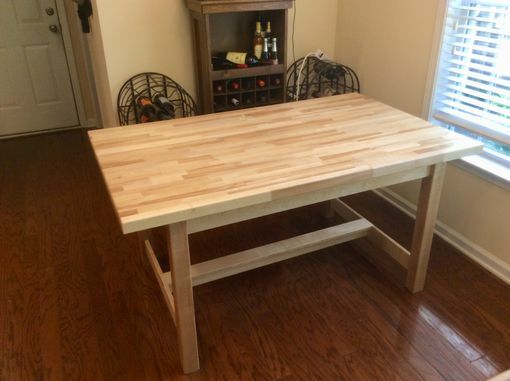 This extraordinary Butcher Block Dining Table was mutually designed by customer & craftsman. 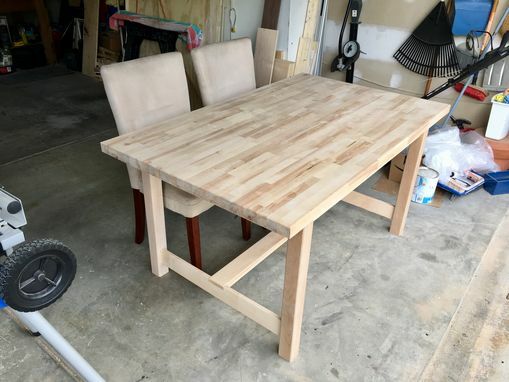 After meeting over coffee, a final design was approved; birch would be the central wood used for the Dining Table, as well as the Butcher Block top. 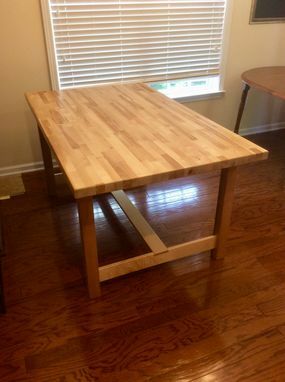 The final design of the Table reflects the customer's memory of the art work table that her mother & father worked at when she was younger, although somewhat shorter in length. 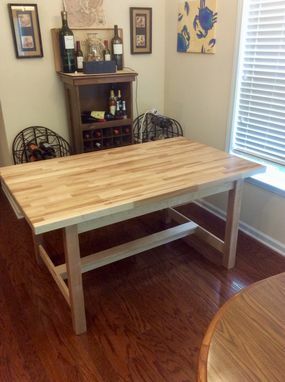 The Table measures 30" tall x 36" wide x 72" long. 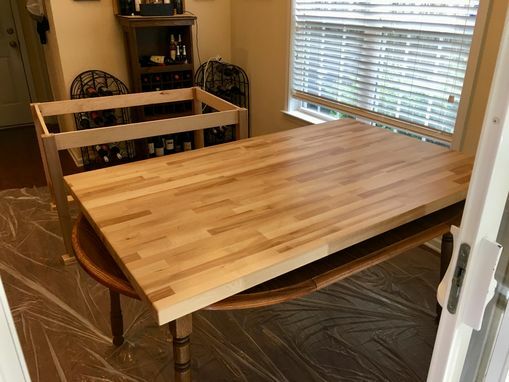 After debating whether to paint the Table, it was decided to apply several coats of a water-based polyurethane to provide a clear, protective barrier against spills, etc. It was difficult to hide the beauty of the birch & butcher block under paint.